If you feel like you are overwhelmed with being a mom and running a house and are desperate for some help, keep reading. It might be closer than you think. I have twin boy toddlers, and – no news flash to any parents of toddlers – they can sometimes be prone to some pretty spectacular tantrums. I understand that they have a hard time communicating their feelings at this age, and sometimes they just scream – or shriek, in my case – as a result. One of my sons – oh my goodness – his screams are like nails down a chalkboard. Spine-tingling. Hair-raising. Teeth-clenching. All at the same time. Well, he’s a smart little guy and has caught on to this strategy: instead of just screaming, now, when he needs help, he will scream, “Mommyyy!!! Help!!! !” OK, not the exact result we were looking for but better. 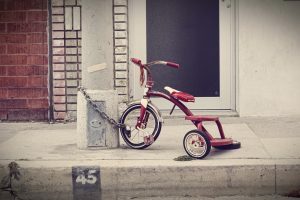 However, the catch is that he will now do this when he doesn’t really need help – a clever predecessor to the age-old child survival trick of ‘crying wolf.’ And, that little smarty pants, he will call the other parent to come to his rescue. Michael: “No!” as he is squirming out of my arms. Since becoming a mom of twins, I feel like that has been the most frequent statement coming from my heart. Help. It is an overwhelming feeling when you need help and it just isn’t to be found. As someone who has no family nearby anymore, I have felt this over and over (and over) since I’ve had my boys. The basement has been my location of choice – where I go to escape for a few minutes, put my head in my hands, and just cry. Because I need some help. 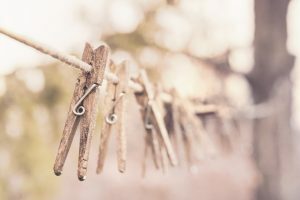 There are days when I feel like I am drowning in everything related to being a wife and mom, where I feel like I’m failing so badly at this: cleaning, cooking, food shopping, laundry, spending quality time with my sons, not losing my patience, preparing for tutoring, freelance work, time with God, time for my husband. 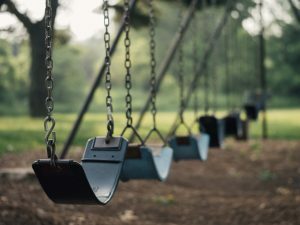 Every additional item that is added to my already overflowing to-do list on any given week – an extra phone call I have to make, an extra appointment I have to drag my sons to and figure out how to keep them occupied and calm, an extra trip to the store because I forgot toilet paper or yogurt pouches – sends me close the edge. In a rare, quiet moment alone (probably in the shower because moms all know that the shower is the only place you can get a rare, quiet moment alone… sometimes), I’ve had a chance to think about the whole idea of help. Isn’t it amazing when you are overwhelmed and on the brink of totally losing it – and someone steps in to help? Takes the pressure off and shoulders some of the load? Doesn’t it feel like someone has just swooped in to save the day, even with just a little help? Like you’ve dropped at least half the weight you are carrying. Like he or she has rescued you from the drowning waves or the fiery flames. The practical help. The physical presence. The emotional shoulder. Somehow those rescuers are able to transfer part of your burden to themselves, and whew! It is such a relief. At the very least, you don’t feel so alone in your quagmire. While I totally wish God would send Martha my way to clean my house and cook dinner (busy Martha, God love her) and commission Peter and the disciples to drop off the leftovers – I would LOVE that kind of practical help! – I’ve found God’s help to be sufficient, even though it’s not always the physical help I’d choose if it were up to me. Something else we’ve been doing with our boys is getting down on their level and helping them when we give them a task to do. God doesn’t just give us a task to do or responsibilities to fulfill and leave us alone to do it. He comes right next to us and helps us do the very thing He (or life) is requiring of us at that moment. He gives us the physical strength to get all of our tasks done. He gives us wisdom in a split second (Like how to diffuse another tantrum in Target that just might make us famous on Facebook). He gives us the strength of His presence – “C’mon. I’ll help. I’ll do it with you” – as we go about our daily business that seems to exhaust us. And just knowing He is next to us, down on our level, somehow lessens the load. It feels lighter. He’s there. Helping. Did you know that same word “helper” is used of God, too? Toward us? 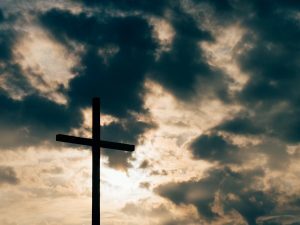 Please, Lord – do NOT delay! It might not end well for my kids if You do. And just in case you didn’t think this was talking to you, if you fear God, this promise for help is for yours, too. Where in the world can I find help? Oh, THAT’S where – from God who MADE the world. Yeah, I think He’s got enough resources to help me with my day. Can you picture this?!? Doesn’t it sound amazing?!? God riding in to the rescue, to help us. Umm, yes, please! 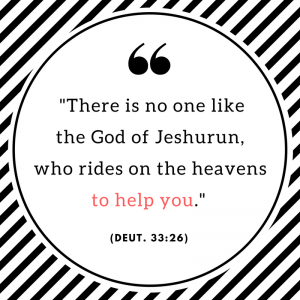 In the original Hebrew, when used of the woman, the word “help” (ezer kenegdo) depicts “power and strength.” What does that mean for us? As wives, as moms, as the women who are shouldering so much weight in our homes, God has created us with strength and power to fulfill our God-given roles. With His help, we can do this because He designed us to do this. And when our strength runs out – which it will – while we are a ‘help’ to our family, He is a help for us. 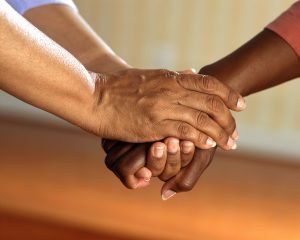 And sometimes, if we think hard enough, we realize that there is practical help available: a pre-teen who can be a mommy’s helper for a few hours. A retired neighbor or woman from church who can stay with your kids during naptime so you can run errands without an entourage or get some time to yourself. A friend with older kids who wouldn’t mind stepping in. Lots of times, it’s not that there is NO ONE we can ask. It’s just that we have trouble asking. A show of hands, please?!? 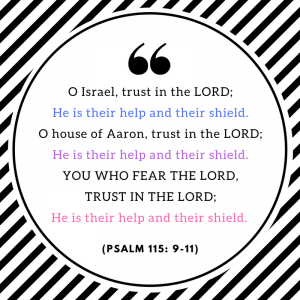 So, tired mom, frustrated mom, overwhelmed mom – those moments when you need immediate, instant help – the kind of help where you will lose it if someone doesn’t come to your rescue? Get yourself to the basement (closet, bathroom, kitchen pantry – wherever you can squeeze yourself). Cry. Complain. Whine. If you can’t find any words to use, “Daaaa-ddddy!!!! Help!!! !” is perfectly acceptable. But then, take a deep breath. Feel His strong arms lifting you up to your feet, walking with you back to your screaming kids and messy house and laundry pile that reaches the summits of Everest, shouldering the burden with you. You can do this. He is your help. Have you ever had parenting advice that went ‘terribly wrong’? In what ways do you need help the most? 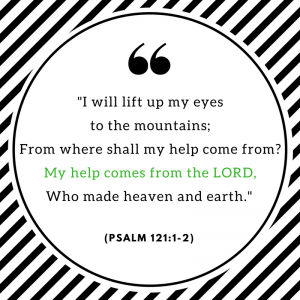 How have you found God to be your helper? 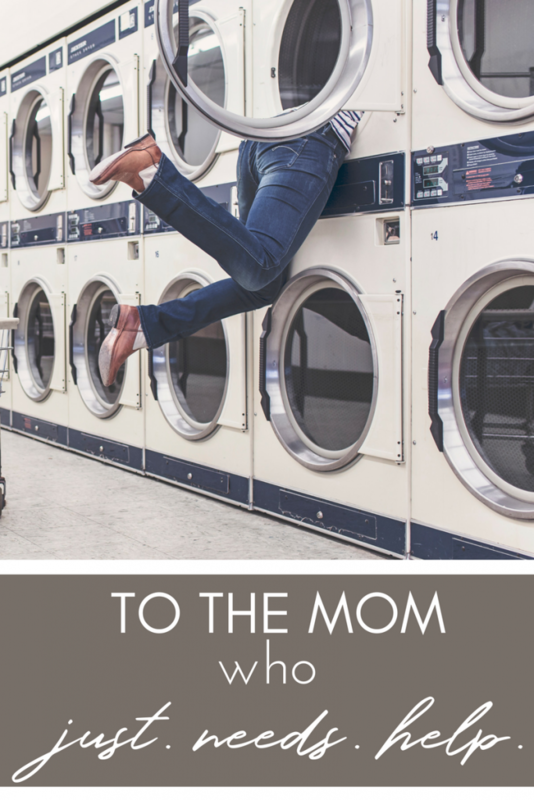 If you know moms who could use this encouragement, I’d be so grateful if you shared! Kate, this is SO helpful and inspiring and it kind of makes me want to cry. I just love your thoughtful words and insights both about how God helps us as moms, and how we were made to be powerful, strong helpers. It's blowing my mind. And I don't think I'll forget your son screaming, "Daddy, help!" on an airplane. I feel for you on that one! I've had all kinds of fails related to (normally good) parenting advice...potty training comes to mind. Anyway, thank you so much for this post! I'll be sharing it pretty much everywhere. Well, I'll consider myself part of your new tribe as well if you don't mind :). I love your insights...and so get your world of boys as well. Thankful for the way God is blessing you and blessing others through you, me included! This is such a great post. Practical help is THE BEST, but I know some people in seasons of life where that just isn't a possibility (like someone who moved to a new town), or even just those weeks when my family is swamped and totally unavailable for me to call on, this is such an encouraging truth. Kate, this is so helpful, and so refreshing to envision God as our helper saying, "Come on. I'll help." And you are right. He is there helping but we just forget. I have been close to losing my mind today, but I didn't take the time to remember that He's right here with me. Thank you for this!